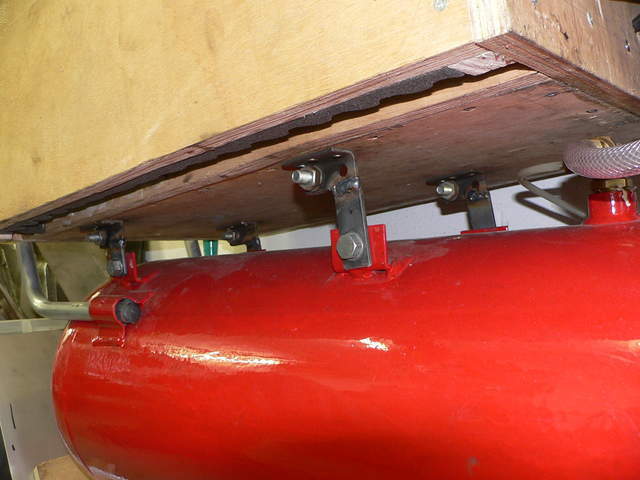 The compressor in the box is solid mounted on the tank, with the metal frame you see in this photo. By unscrewing the top four bolts (as seen in this picture) I can lift the compressor out of the box. By unscrewing the bottom four bolds, I can remove the box from the tank.